Highlight your room interiors with this amazingly designed wooden dresser displaying an artistic and ethnic appeal. 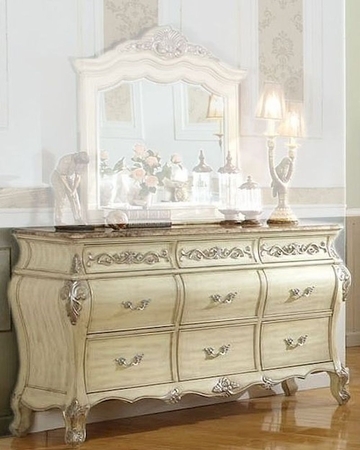 The design of this dresser is enhanced with an intricate pattern to give it an interesting look. 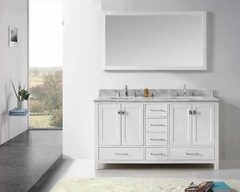 The dresser comes with six large spacious drawers and three small drawers for everyday essentials. Reach out to your beauty products in minimal time and avoid delays. You can also display your perfume collection with pride on the top counter of your dresser. Every woman is sure to love this beautiful white finish dresser manufactured by MCF.